These Garlic & Parmesan Mini Hasselback Potatoes are packed with flavor and super easy to make! Did you know that one serving of potatoes with the skin contains nearly half of our daily value of Vitamin C, more potassium than a banana and is a good source of Vitamin B6? 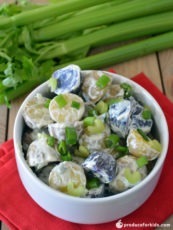 Serve as a fun appetizer for your game day celebration or as a festive side dish for a family dinner or holiday meal. 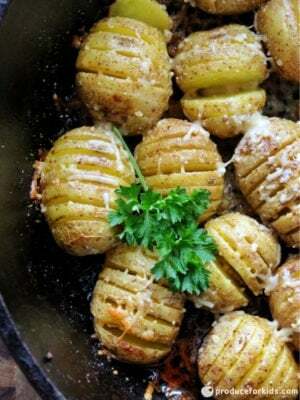 These Garlic & Parmesan Mini Hasselback Potatoes are packed with flavor and super easy to make! Did you know that one serving of potatoes with the skin contains nearly half of our daily value of Vitamin C, more potassium than a banana and is a good source of Vitamin B6? Serve as a fun appetizer for your game day celebration or as a festive side dish for a family dinner or holiday meal. Recipe and photography courtesy of Jodi of Create Kids Club. 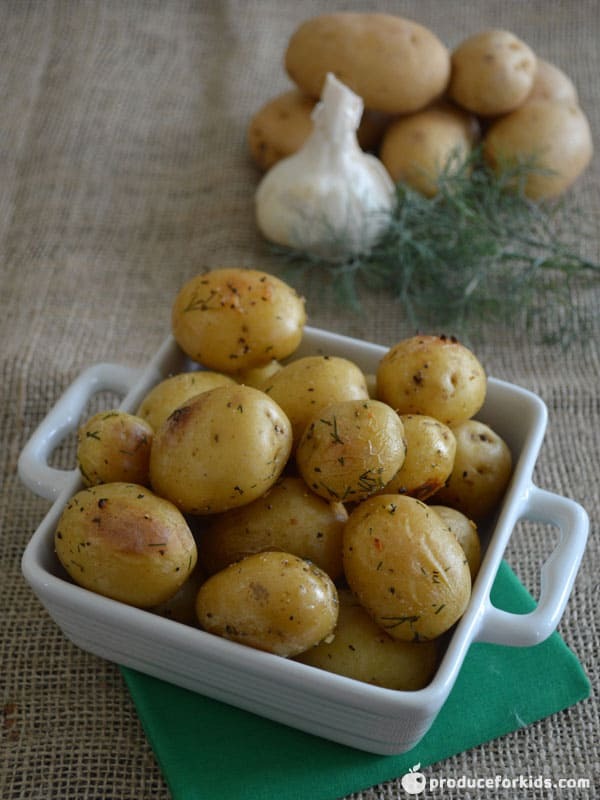 Slice potatoes into 1-centimeter sections, being careful not to cut all the way through the potatoes. Place in cold water and let soak 10 minutes. Add butter, garlic and salt to microwave-safe bowl. Microwave 35 sections, or until butter is melted. Stir. Place potatoes in oven-safe skillet. Brush with melted butter and bake 20 minutes. 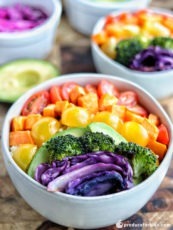 Remove from oven, top with cheese and bake additional 20 minutes. Can you bake the potatoes on a cookie sheet or in a back dish? Yes! They’ll work in any oven-safe dish.